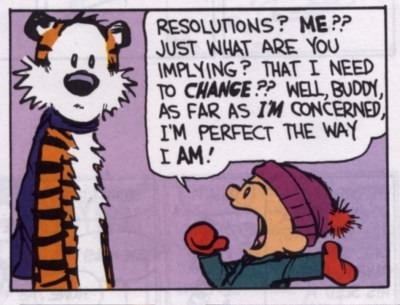 In years past, I have joined the masses and come up with a list of resolutions that I typically forget about by mid-month. The resolutions usually revolve around weight loss and financial health with ideas of eating healthier, exercising, and getting back on my feet financially. I saw a tweet from someone (can’t remember who) who mentioned that they were doing one resolution per month, and I thought to myself, this is a great idea! Rather than make that laundry list of resolutions that I’ll end up ignoring, I’m make one resolution per month, starting in January. January’s resolution will still revolve around weight loss, eating healthier, and adding exercise to my daily routine. With The Rock Boat not setting sail until March, I have two months to whip myself into some type of “boat shape.” I’ve been very sloppy with my diet over the past six months and have not been as active as previous years. Since I have previously had success with a low carb diet, I am going to try this method again. I’m only a week in, but I seem to be doing okay, and have lost at least 3.5 lbs to date (I forgot to weigh myself on Day 1). Cutting the carbs from my diet has not been a huge sacrifice, however, my sweet tooth still craves a bite of something after lunch and dinner every day. I’ll be hitting the internet to find some low-carb friendly dessert options to get me through the next two months. Also starting soon will be some type of exercise program. Due to the holidays and my work schedule, I have been absent from my twice a week yoga practices. I resolve to get back into the practice of attending these free classes on my lunch break during the work week. I have also returned to the weekend pick-up game of Ultimate Frisbee. Running around for an hour should help shed some pounds! In addition to yoga and ultimate frisbee, I am also going to try to throw in some work outs with weights and/or my exercise ball. It’s time to get rid of this belly pooch and the bat wing arms that I have, as well as help me feel and look better! So there’s my plan for January! While I’m walking around the neighborhood listening to the tunes on my phone, I’ll need to think of a resolution for February. So how are you coming along on your list? Posted on January 10, 2012, in Good Health, Holidays, Resolutions. Bookmark the permalink. Leave a comment.